When implementing tips for your foot ulcers, it is beneficial to also understand foot ulcers themselves. An ulcer is an un-healing or improperly healed break in the skin. When left untreated, these ulcers can can worsen, get infected, and in sever cases may lead to amputation. Although ulcers can occur anywhere on the body, diabetics’ feet are especially susceptible. 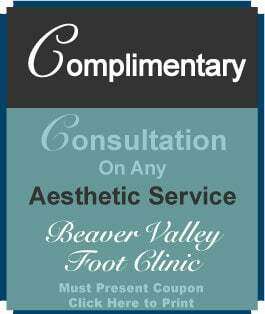 At the Beaver Valley Foot Clinic, we are dedicated to helping you heal quickly and properly so that you can get back on your feet. This may seem to go without saying, but proper healing is key. Do not try to home-remedy an ulcer that is meant to be cared for by professionals. If your ulcer is taking 10 days or more to heal, you should already have an appointment to see a specialist as soon as possible. Some ulcer sufferers wait too long to seek medical help, prolonging the healing process. This not only adds unnecessary pain for you and your feet to deal with, waiting also worsens the ulcers themselves. If your ulcer is taking more than a week to heal, come see our compassionate, experienced doctors immediately! You do not want an irritated ulcer to turn into an amputation (in extreme cases). Preventative Measures Could Save Your Feet! Know what caused your ulcers, be it from a lack in general diabetes upkeep, pressure or neuropathy. Neuropathy is the complete loss of sensation, which can occur with uncontrolled diabetes. Identifying the source will indicate what you should focus on in the future, in order to better prevent another diabetic foot ulcer from forming. At the Beaver Valley Foot Clinic, we are focused on helping you heal quickly and properly so that you can get back on your feet. 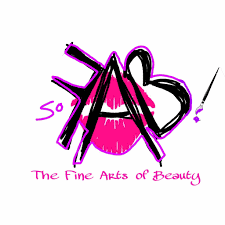 Contact us today by calling (878)313-3338 to learn more, or to schedule an appointment. 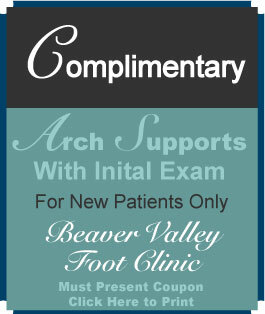 For gentle, fast relief from all kinds of foot pain, trust in the Beaver Valley Foot Clinic!